In Parts 1 and 2, we looked at both 3… e4 and 3… exd4, and saw that with best play, white stands at least slightly better. Today, I want to look at the sub–lines 3… d6 and 3… Nf6. 1. c4 e5 2. Nc3 f5 3. d4 d6 4. dxe5 dxe5 5. Qxd8+ Kxd8 The disadvantage in this line is that black gives up his right to castle. Furthermore, white gets a lot of play with Bg5+. 6. Nf3 Nc6 7. Bg5+ Nf6 8. 0-0-0+! The best move, not Nd5, as castling is most forcing. 8… Bd7 9. g3 Planning Bh3, to attack f5, White is not in a crazy rush since Black cannot castle. 9… Bc5 10. Bh3 Kc8 11. Bxf6 gxf6 12. Nd5 This gives an interesting position where Black gambits the f2 pawn for play on the d–file. Note that Black can always take on f6. The 3… d6 line is not a natural choice for black, but if Black plays naturally, all white needs to do is Bg5, 0-0-0 with check, and plant a knight on d5. 1. c4 e5 2. Nc3 f5 3. d4 Nf6? This is a desperate try for Black. While awful, I did get one game like this in a blitz match where black chose this outlet of play… I’m guessing someone who likes the Alekhine defense might try this, but anyone with common sense should avoid it. 4. dxe5 Ne4 5. Nxe4 fxe4 6. Qd5 Bb4+ 7. Bd2 Bxd2+ 8. Kxe2! Nc6 9. Qxe4 Qe7 10. Nf3 d6 11. e3 dxe5 12. Bd3 Black can’t castle kingside because of a weak h7 pawn. White will move the king to e2 and play for the d–file. So that sums up the Steincamp Attack. The reason why this line isn’t common at the Grandmaster level is mainly because Black avoids this line by post–pining f7–f5. Generally, the player who pushes f7–f5 on move 2, isn’t familiar with English theory. The Steincamp Attack is a good way to catch them off guard while taking no risks. So we continue to analyze how to take advantage of the erroneous move order in the Reversed Grand Prix. 1. c4 e5 2. Nc3 f5 3. d4! The critical difference, most logical developing moves transpose to the main line Reversed Grand Prix, but the Steincamp Attack refutes the possibility of a future f5–f4 push. In Part 1, we analyzed why 3…e4 was not a sharp move, and how white continued to find pressure on weak diagonals. There is the possibility though of 3…exd4, which is a much sharper line, but with best play, the capture is not justified. 5… Be7 Black opts for passive play. 6. Nf3 0-0 7. e3 Black has an odd opening set–up. It is as if he is playing a Dutch without an e–pawn, meaning a shaky center. 7… Nc6 8. Qf4 h6 9. Bxf6 Bxf6 10. Nd5 Bxb2 Black has nothing better to do. 11. Rb1 Ba3 12. Qxc7 Qxc7 13. Nxc7 Rb8 This line has interesting play for both sides, but White must not lose the c–pawn. 5… Nc6 The more natural move. 6. Qe3+ Qe7 7. Qd2 Thanks to the analysis of Fritz, this quick provocation makes development difficult for Black. 7… d6 8. Nf3 Be6 9. e3 A main idea of this opening is putting pressure on f5 while black attacks c4, losing the pawn for either side can mean game over. 9… 0-0-0 10. Nd4 h6 11. Nxe6 Qxe6 12. Bxf6 Qxf6 This is a good trade since the c4 pawn and the f5 pawn are both on light squares. Elimination of the e6 bishop can mean less pressure from Black. 13. Be2 Qf7 14. 0-0-0 g6 15. Nd5 White gets reasonable play in this line. The bishop on e2 can go to f3 and use the diagonal to his advantage. Meanwhile, Black is going to be busy getting the knight to move from d5. For what its worth, the 4…Nf6 doesn’t make sense. 1. c4 e5 2. Nc3 f5 3. d4 exd4 4. Qxd4 Nc6 5. Qe3+ The best location for the queen right now. 5… Be7 6. Nd5 Nf6 (If 6… d6? 7. Nf3 Bd7 8. Bd2 Kf7 Black’s lack of space in this line make castling impossible 9. 0-0-0 Nf6 10. Ng5+ Kg8 11. Ne6 += White will soon get the pair of bishops and a space advantage) 7. Nxf6+ gxf6 8. Nf3 d5 9. Bd2 Kf7 10. 0-0-0 If White controls the d–file, he should win. The 3…exd4 doesn’t have too much theory. The only key is 5. Qe3+. If you retreat to d1, the extra tempo allows Black to have strong play after Bb4, and it is White who is gasping for air. Seeing as this is not an official opening, I imagine most players on the Black side are playing 3… exd4 anticipating …Nc6 and Qd1. By playing Qe3+, White limits the overall play of black in an open position. In Part 3, I will cover the passive 3… d6, and the gambit–like 3. Nf6. Feel like I missed something, feel free to comment below! If unprepared, White can actually get in a lot of trouble and lose rather quickly. I was actually so scared of this line that I switched to 1. d4 for a short period of time. The honest truth is that 2… f5 is a positional mistake, and at the grandmaster level white scores really well. While I don’t play this line anymore, I used a Fritz engine to help me come up with this line. Its ECO code is A21, but that covers a vast amount of Reversed Sicilians, so I call it the Steincamp Attack instead. 3. d4! There are not too many games in this line according to the Mega Database, probably because 2… f5 hyperextends too quickly. Black’s main cookie–cutter attack is to play into a Closed Sicilian/Grand Prix structure and attack with …f5–f4. This can be a very annoying threat, and can sometimes be decisive. By playing 3. d4! White takes away this idea and makes the game more dynamic for white. Black has a few options here: 3… e4, 3… exd4, and 3… d6. Since each line has a fair amount of theory, I will start with 3… e4 for Part 1. 3… e4?! This is the natural move, but according to the computer, White is already slightly better (+0.50), which is pretty good considering its only move 3. White wants to exploit the dark squares on the c1–h6 diagonal, and get a knight onto f4 or g5. 4. Nh3! Surprised? This is the most natural square for the knight, and its clear that the hole on f4 is good for white. GM Ivanchuk has played this line in a tournament before with a good result. 4. Nf6 5. Bg5 Taking advantage of the pin. Nd5 is a very strong threat, making f6 and potentially c7 weak squares in Black’s camp. Black’s queen has two moves: the natural but losing 7… Qd8, and the computer move 7… Qd6. 7… Qd8? 8. e3 g6 (8… c6?? 9. Qh5+ g6 10. Qxg6#) 9. Be2 c6 10. Nc3 Na6 11. Nf4 Kf7 A necessary concession. 12. h4 h5 13. Qd2 Be7 14. g3 Nc7 15. d5 cxd5 16. Ncxd5 Nxd5 17. Nxd5 Bf6 18. Nxf6 Qxf6 19. 0-0-0 Black has no clear plan, and his development is very poor, White should be able to hold on to his positional advantage here. The other line to consider, 7… Qd6 isn’t easy to play either. 8. e3 c6 9. Nc3 Na6 10. Nf4 g5 (Note that if 10… g6, 11. c5 give white good play after 11…Qf6 12. Bc4) 11. Qh5+ Kd8 12. Ng6 Rg8 13. Nxf8 Qxf8 14. c5 Black is at a loss to find any space. His light squares are disturbingly vulnerable. 14… b6 15. Bc4 Rh8 16. h4 g4 17. 0-0-0 Black’s position offers limited play, and his early attempts to gain space have been proven fruitless. 5… Bb4 Since attacking the bishop is not good for Black, I think this is Black’s most aggressive option. I only got to play this opening once in a tournament, so I’ll show the opening of that game. 7. bxc3 If white is playing this Nc3 line in the English, he should already be comfortable with this doubled pawn structure. White’s goals are to use his queen on b3 to have future threats on f7. 11. Be2 The one thing you’ll love about this Be2 idea is that Bh5 is really strong, and the g6 square is extremely weak if you can play Bh5+. Also c7 is very weak, so Nd5 is always a possibility to use in conjunction with a bishop on h5. 6. e3 This line is actually better than the line I played in the game. Note how by playing e3 now, I don’t have to wait for Bf1-e2 to threaten a check on h5. 6… c5 Black wants to complicate things here with this pawn push, but its a prepared white side that does the complicating. 7. dxc5! A move against principle, but the open position favors white more than a closed one. 7… Bxc3 8. bxc3 0-0 9. Be2 Na6 10. Bf4! A hard move to find, toggling the bishop to d6. 10… Nxc5 11. Bd6 Qa5 12. 0-0 (12. Bxf8 is also strong here, but the bishop on d6 puts so much pressure on Black’s position) 12… Re8 13. Nf4 Ne6 14. Nd5 Nxd5 15. cxd5 Nc5 16. Qd4 += Black’s c5 knight is very uncomfortable, and the c8 bishop isn’t going anywhere anytime soon. The 6…c5 Benoni-style play is met with unorthodox tripled pawns to gain a significant central advantage. Black has sharp play in this line, but quick development makes counter play fairly difficult in the 5… Bb4 line. White is relatively better than black in all variations. Now that we’ve looked at some of the thematic ideas for white, its time to break down the most common response for black, according to the Mega Database. Here White should be prepared for 6… 0-0 and 6… d6. The main line is the most solid for black, but white still has ways to gain the initiative. White is slightly better in this line. The text above has Black’s best responses above, and there isn’t too much room for creativity for Black. When black plays 3… e4, it is very easy for white to seize control. White needs to develop rapidly, with very few pawn moves. After White sets up c4, d4, and e3, Black can’t really find play in the center. White’s g1 knight hops to h3 to find the f4 square after the Bishop is placed on g5. The f1 Bishop makes a quick move to e2 to later find Bh5, and the queen can sometimes go to b3. In a dream scenario, White’s c3 knight also goes to d5. To have an attack on the kingside, white usually sets up h2–h4. This also eliminates black’s kingside possibilities. If Black tries to be aggressive with Benoni like c7–c5 ideas, it can be advantageous to capture with dxc5 if White can control the d–file with ease. How can Black avoid all this trouble? Not playing 2… f5. A lot of players rated 1400–2000 have the misconception that this is the correct move order since the Grand Prix Sicilian starts 1. e4 c5 2. f4 and is perfectly fine for white. However, since White has the extra tempo after 2… e5, 3. d4 is possible since White’s knight is already on c3. If Black wants to play the Reversed Grand Prix, 2… Nc6 will avoid complications. However, I have seen this line played enough for black at the amateur level that I think that it might be a good idea to have the Steincamp Attack in your back pocket. In Part 2, I’ll look at 3…exd4, the most challenging line for white. I broke 1700 in my freshman year at the 2012 Virginia Open. From my experience, I think the difference between 1500 and 1600 rated players and 1700s is that the 1700 rated player takes more chances. In order to reach that next level (1700), you have to be more comfortable with your ability to attack and your tactical knowledge. For me I made that break through in the 2nd round of the 2012 Virginia Open. 2…e5 My opponent comes out swinging with the Budapest Gambit. I didn’t really know this line at the time, so I pushed with 3. d5. This is not such a good move for me. Main line is 3. exd5 Ng4 for best play. 5. g3 If I recall correctly, I realized that my opening was not the best line in this position. Note how I can’t push e2–e4 comfortably, as it would emphasize my weakness on the a7–g1 diagonal. 9. e4 Black’s Bc8–g4–h5 maneuver solved my issues in the opening by allowing me to expand my pawn structure on the kingside and strengthen the center. I give black’s c5 bishop a good diagonal, but in exchange I am more flexible. 13. h4!? I think this was an interesting idea for me, but it may have been worth considering Qd3 followed by Be3, trading off Black’s best piece and allowing me to castle. In this position, gaining space is not really a priority, development is. 16. c5 The first real gamble I made this game. By sacking my pawn, I hope to find activity on the kingside. 20…bxc3 This is the first critical point in the middle game where I have an opportunity to establish a plan. For the first 20 moves, I have been responding to my opponent, but now I have to find counter play if I want to win. My king is very exposed, so I need to limit black’s queen from active play. I have more pieces than black, but I should not forget the threat of pawn storms on either side of the board. The longer this game goes on, it will favor black. 23. Qf3! Taking chances and trusting my tactical senses, if I can open the kingside, I can play for a win, and if I have to, maybe force a draw. The key is to exploit the dark squares f6, g7, and h6. 25. Bh6+ I had already seen this move when I was calculating 23. Qf3, so it wasn’t to hard to find. 25. Rh2 is more accurate, but this is also winning. The key to finding this move was to look for forcing moves on the critical squares f6, g7, and h6 before getting carried away with other variations. 25…Kxh6?? Find the checkmate! 25… Kh8 26. Bxf8 is best play for black. 31. Rxg4 would have led to the faster mate, but the text works too. In this game, I was about a 150 point underdog, but I was able to create chances in a complicated position. The key for me was after 20… bxc3 I was able to find an aggressive plan rather than sit back and play passive chess. Breaking 1700 means being able to seize the initiative in a tight game and trusting your tactical senses when the opportunities are present. Feel like I missed something? Feel free to leave a comment below. When I was young, I tried to learn this endgame from Pandolfini’s Endgame Course. While I understood the concept of shutting down the box, I found this hard to execute in practice. I discovered this video a while back, and I think the speaker’s explanation of Deletang’s Triangles is the best method of how to win this endgame: its easy to remember in practice and it is very efficient. If you are a chess player from the Greater Richmond Area, you may know that I’m a team guy when it comes to chess at my school, MLWGS. I think that during my three years in the program, my perspective on why I played chess and how well I played changed as result of being on a team. In middle school, I kind of hit a dry spell, and my rating stayed between 1250 and 1450 for three to four years. There weren’t many serious tournaments in Richmond, and frankly because of that, I didn’t have a reason to feel like I needed to be any better to improve at the scholastic level. A lot of coaches say that you have to give up scholastic chess to get beyond 1200, but honestly, I don’t think that’s entirely true. In my three years at MLWGS, I have been a captain, a tournament director, and a coach to try to help my teammates get better. Most of the players on the team have hit the 1000 rating mark since I started coaching, some of whom have only been playing competitively for a year or less! 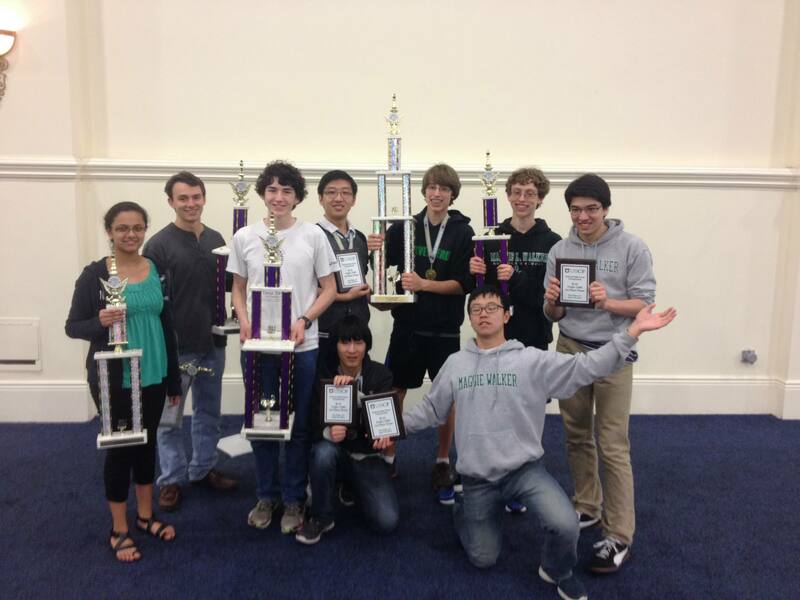 This year, those guys won the U1200 National High School Chess Championships in San Diego, CA. On a piece of paper, write down three concepts that you think are the most critical to playing a solid opening and three more for planning during the middle game (for example, one of mine is optimization, which is developing your pieces to their best possible squares so they are ready to use in the middle game). 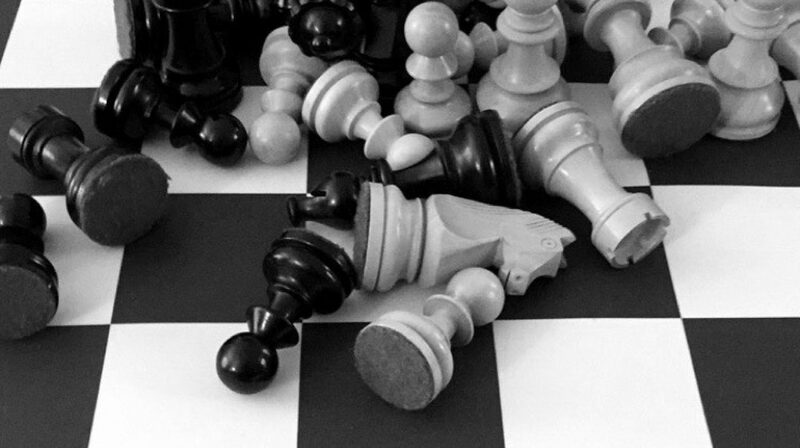 Now look over all the games that you have lost against higher rated players over the past year, and bookmark it if you lost as a result of failing to adhere to your three most valued opening principles or middle game stratagems. Surprisingly many, right? When I started coaching my team, I was rated in the mid–1700s, and as I coached more, I quickly broke 1900 (October 2013). Though I did have to do a fair amount of bookwork on the side, coaching really helped me identify my gray areas as a chess player. Another crucial reason of how coaching a team is beneficial for highly rated players is that it makes you more competitive. As my school team became stronger and stronger this year, I also became more motivated to find my own ways to excel and improve (my team was winning tournament after tournament, shouldn’t I try too?). While my team was busy winning the U1200 National High School Chess Championships, I was meeting my goal of finishing in the Top 100 of the Championship section with a score of 4.5/7 (I placed 76th). Playing at the scholastic level after breaking 1300 seldom reaps rewards, but sometimes it isn’t the playing that always matters. As long as you save time for yourself to study, coaching helps you improve as both a teacher and a player. Feel like I missed something? Feel free to leave a comment below! 7..e4 This is the wrong plan. A simple 7… Nc6 would have been much better. e5–e4 hyperextends without any backing from Black’s pieces. 8…d4?! I don’t think this is a good move for black. Black is opening the position and not developing or keeping his king safe. See the problem here? Black spent about 10 seconds and resigned, then messaged “gg” (good game) before leaving the board. If you look closely, Black has a fairly well–known resource here, 11…Qa5+ this move wins the knight from c5. Here I have to play 12. Qd2 (12. Bd2? is bad because after 12… Qxc5, my pawn on e5 is a sitting duck) 12… Qxc5 13. Qxd4 Qxd4 14. Nxd4 Nxe5 I am slightly better here because of development, but I think had black seen this line, he would have played on. What can we take away from this game? 1) When in doubt, look for the forcing moves: checks, captures, and threats. It took me a couple seconds to find …Qa5+ before I played Nxc5, and I think my opponent could have too. 2) Make your opponent play out any combination. Make your opponent prove to you that they know how to win the game. This puts a lot of pressure on your opponent to find the right moves, but also, he/she may not see everything that you see either! 3) At least take a full minute to assess the position before you resign. Don’t let yourself later regret not seeing a winning or equalizing move. Also, if you are going to put time into playing chess, you shouldn’t give up so easily.